The last time I visited Kyoto Garden Sushi I did my level best at eating my way through their entire menu. Luckily for my next visit I had a little more restraint! From my first visit I had collected a long list of firm favourites and was delighted to see them included on their winter special menu! 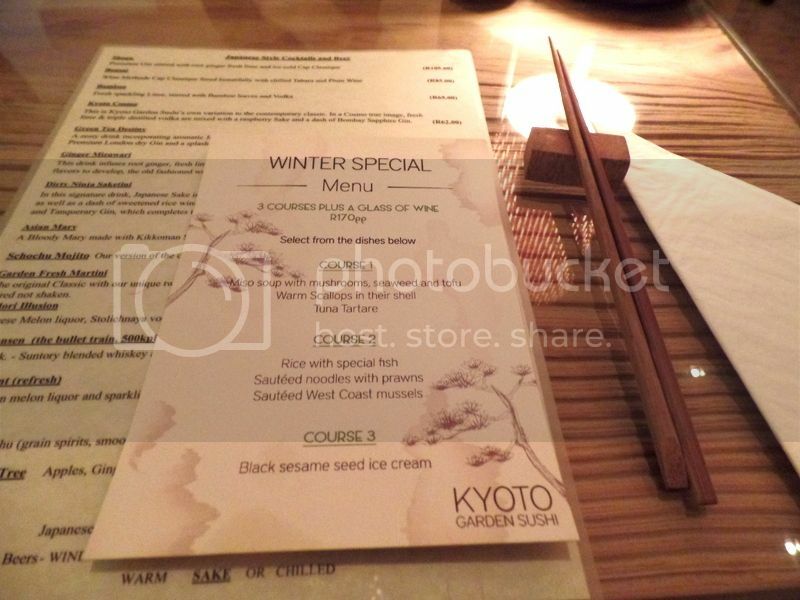 Kyoto Garden Sushi is running a three course winter special for R170 per person with a glass of wine. Often a winter menu includes a bunch of less popular dishes and budget options. Kyoto doesn’t do anything in half measures and their winter menu only includes their best dishes! First course was the beginning of some tough choices! We struggled to choose between the tuna tartare and warm scallops in their shells. 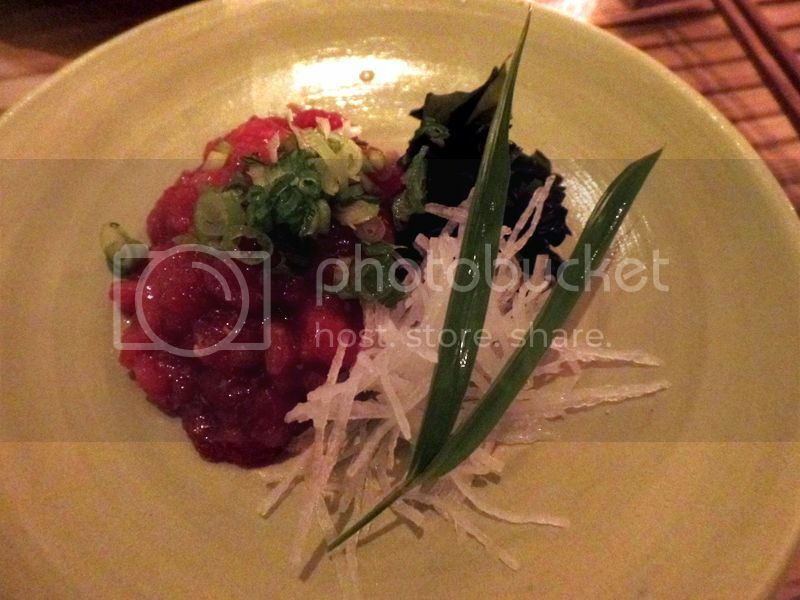 The tuna tartare was one of my favourites from our last dinner so I couldn’t resist ordering it again. The tuna was so incredibly fresh, with a melt in your mouth texture like butter left out the fridge for a minute or two. This dish was so rich and packed with flavours which were helped along with a little wasabi peppered through the tartare. Last time we shared this dish – this time I got to eat all of it and goodness is it filling and rich! So delicious! Their amazing tempura is not included in the winter special menu but we couldn’t resist adding in a little bit more Kyoto Garden sushi delicious’ness! Kyoto makes the very best tempura so I would highly recommend adding in an extra dish! The tempura is so so light. It’s like they just wrap delicious things in borrowed bits of cloud. There is absolutely nothing oily about the tempura shell. 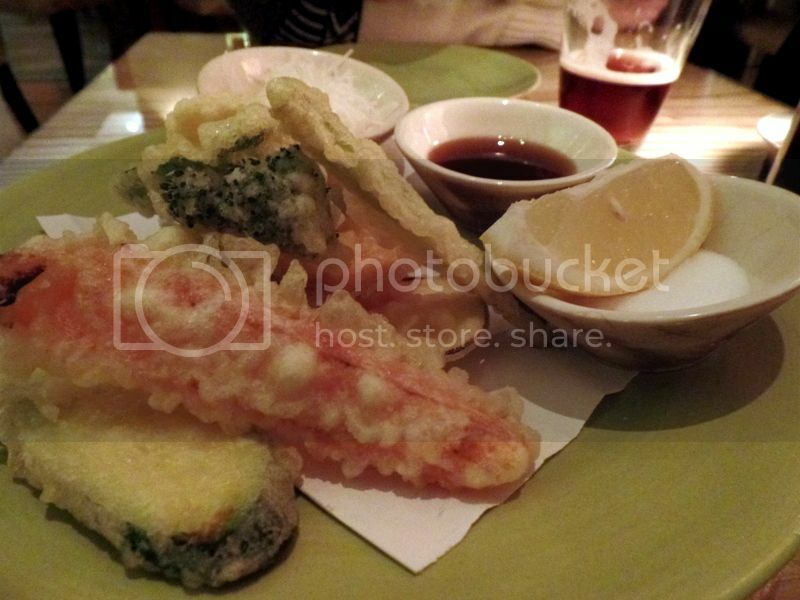 This time we decided to try these tempura vegetables. They were delicious and there were lots of exciting flavours but I think I still prefer their tempura prawns and the amazing tempura scallops floating in light salty broth. On our first visit everyone recommended I order their rice with special fish. Unfortunately we had eaten too much to squeeze in some special fish! 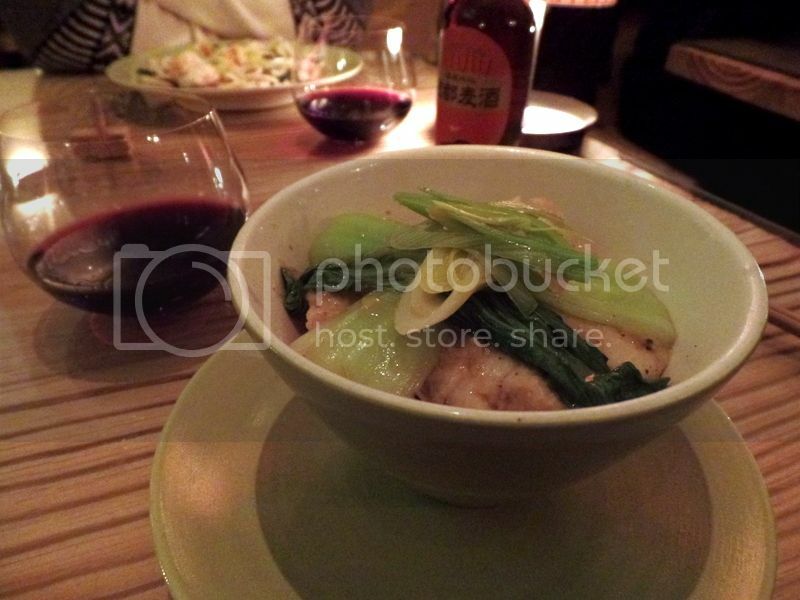 Luckily the rice with special fish is on their winter menu and I got to try it! The rice with special fish is pure comfort food! It was so damn delicious! 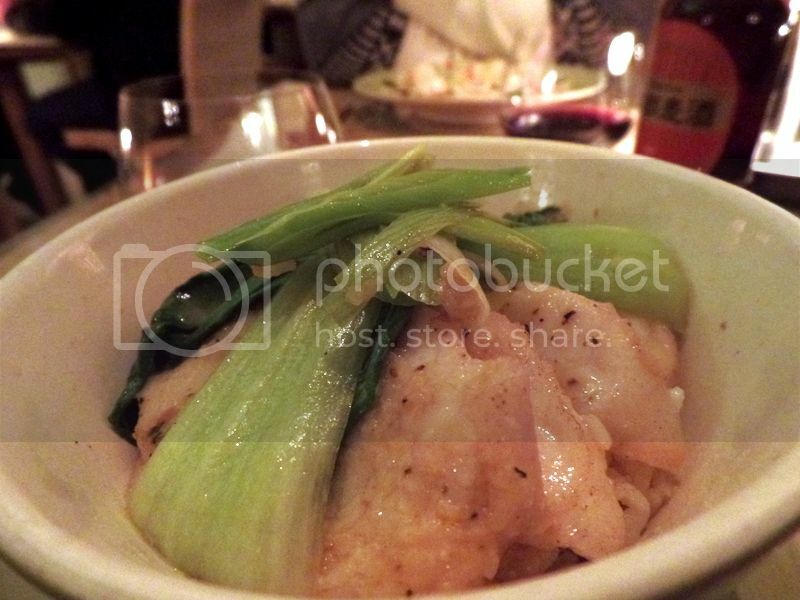 Warm sushi style rice with salty umami broth and tender light kingklip fish on top. The dish doesn’t sound or look very impressive but the flavours are amazing! I would highly recommend trying this on your next visit. 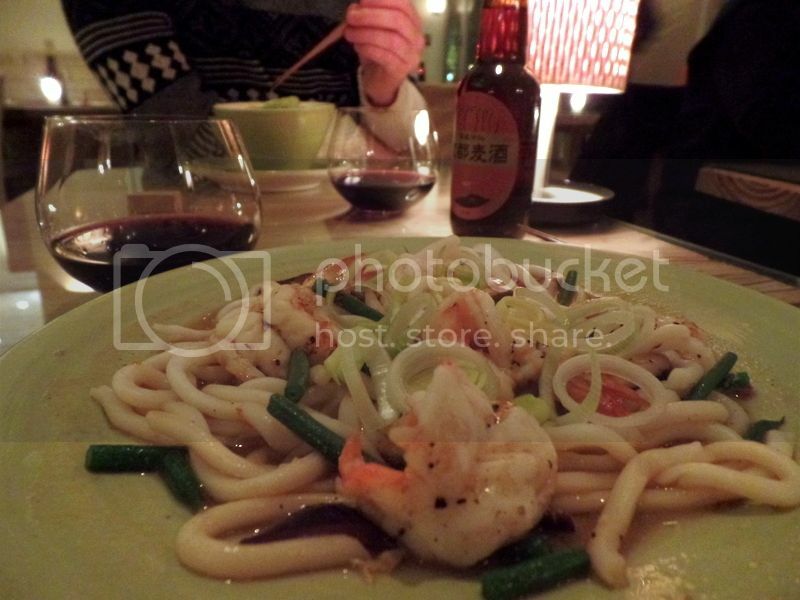 We also tried the sauteed noodles with prawns. The noodles are fat and chewy and delicious! There were lots of giant tender prawns on top which were great dipped in the sauce. We loved the noddle sauce so much we actually poured some of the extra sauce on the extra rice from the special fish. 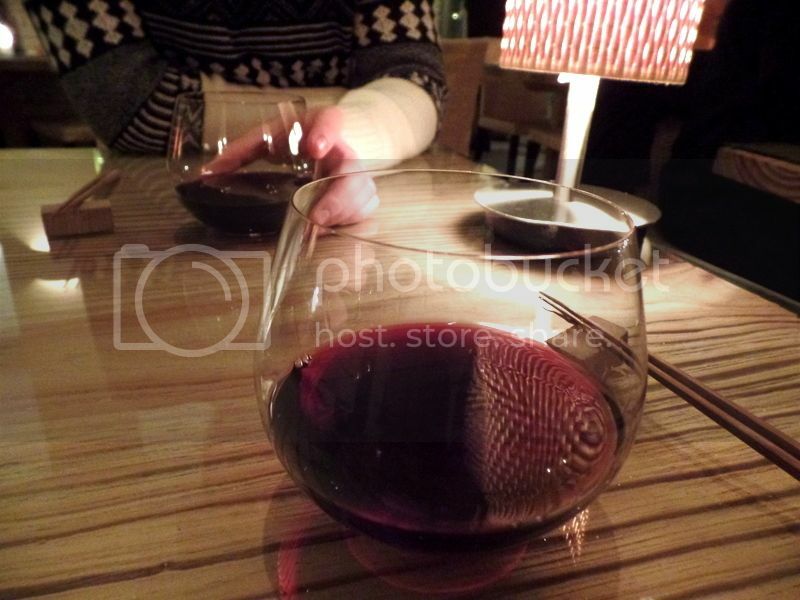 These main courses were really spectacular – both light, fresh and very filling! 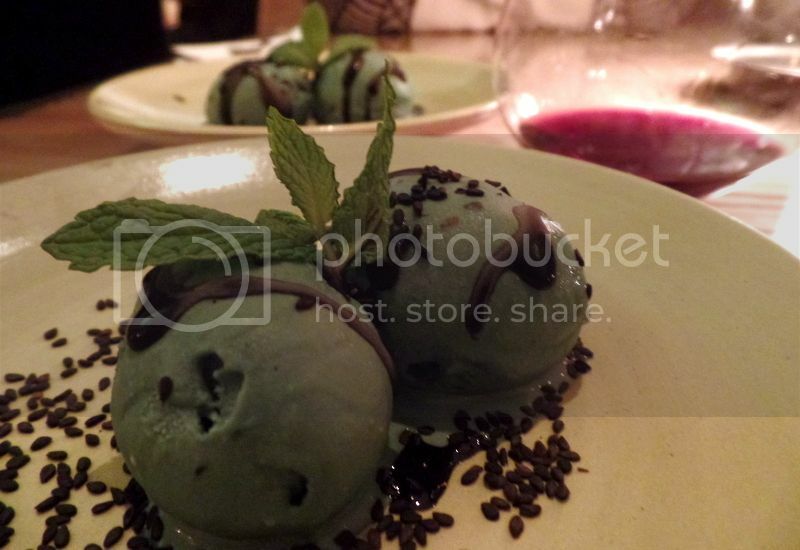 We ended off our gourmet dinner with black sesame ice cream! I adore sesame seeds and this rich thick ice cream was pure perfection. The ice cream was the perfect ending – light and sweet and cool! After all the exciting flavours and rich food the ice cream wrapped up the menu perfectly. 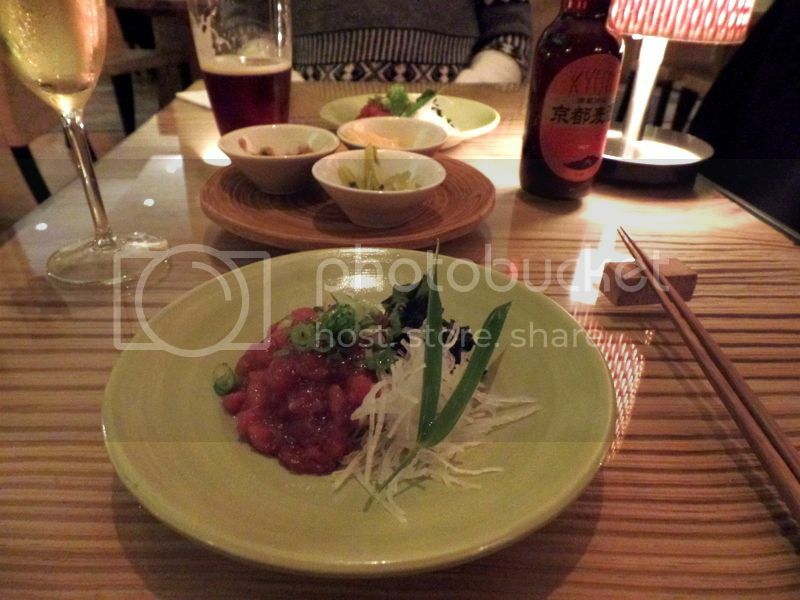 Note: We enjoyed dinner as guest of Kyoto Garden Sushi however all photographs and opinions are my own. 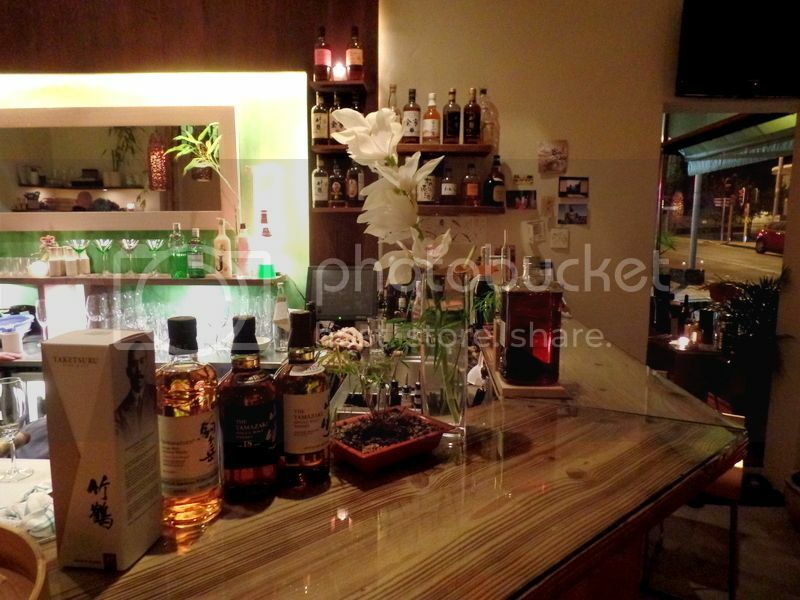 Kyoto Garden Sushi Kyoto Garden Sushi: Set Menu for Two Kyoto Winter Special Back Again! 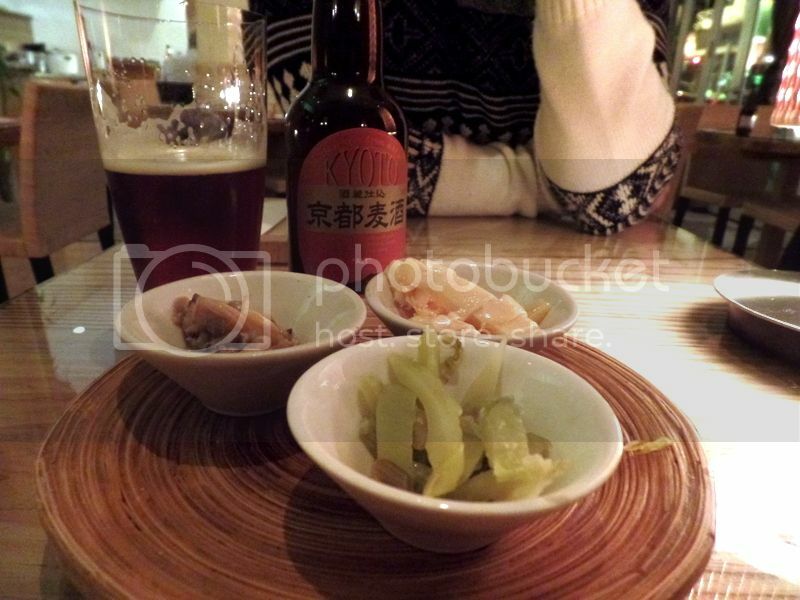 Kyoto Delights and their new Uni Sushi!